SiteLink Web Edition was introduced in Australia in 2007. At the time, Centreforce did not sell software – it had represented another brand until 2006 and was very busy completing Self Storage security installs. A meeting in Las Vegas with SMD Software’s Chief operating officer Markus Hecker saw an agreement reached to look at the feasibility of establishing SiteLink in Australia and the wheels were set in motion to a fantastic partnership that continues today. 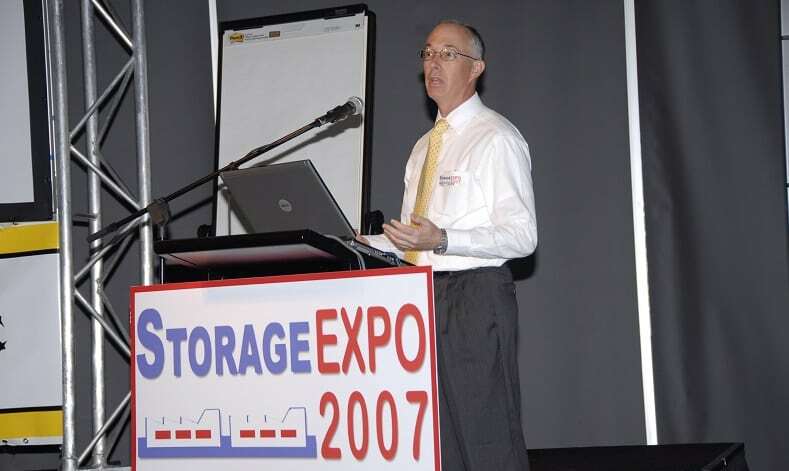 Centreforce had planned one of its Expos at the Q1 centre in 2007 on the Gold Coast and at that event SiteLink Web Edition was launched by Ross Lampe, President of SiteLink. Prior to the launch, Centreforce staff worked with the development team to make the changes needed to use the software in Australia. It was a tentative start to a successful roll out of leading edge software for Australian operators. Dallas Dogger had pioneered other brands in Australia, including Mini Storage Plus, RentPlus, PTI and in later years, Storman. Dogger realized that the only way forward as we entered the internet age was to work with a company that had two core values – Commitment to our market and commitment to innovation. The pace of change would be fast and any company not willing to innovate would falter. Many did. “Ross Lampe showed us his companies’ total commitment to Australia and that remains to this day and I have to give full credit to the SiteLink team in those early days – we pushed them hard to deliver on features!”. Dallas Dogger, founder of Centreforce said. There were lots of changes needed, especially around our unique tax model in Australia and SiteLink diligently made those changes so that the software could be marketed here. GST was introduced in Australia in 2000. The way in which the tax is calculated proved a challenge to the techs at SiteLink and with the launch set for the 2007 Expo, the midnight oil was burned, and the changes needed were made. I can’t emphasise enough how, but these challenges were huge as our tax system is fundamentally different to the US and it was not just a case of “adding a button”! These changes effected every report and much more. Australian Self Storage operators had been used to US offerings in the past with Mini Storage Plus, RentPlus and Space Control used by various operators and the GST had a big effect on the viability for US Self Storage software. Most could not cope with the changes. “At first, we were reluctant to even consider getting back into Software”. Dogger said. It can be a tough business – one that requires an enormous financial investment from not only the US supplier but us locally with regular visits and endless communications. The risk of failing was high, but we had faith that Australian Self Storage owners wanted choice and innovation. 2008 to 2009 was tough – the GFC hit, ironically at the SSAA show in Perth. Phones started ringing and whilst we were in the trade show, suppliers were saying well this will be interesting! Sales for Self Storage products really dried up and we were lucky to survive. Many businesses didn’t make it, Self Storage businesses stopped building and existing sites hunkered down and saved money. We really thought that the industry might crash, luckily, we fought on. During the tough times we focused on data accuracy and ensuring that the financial reports generated were accurate to the cent. It’s easy to have sleepless nights worrying if data is real. SiteLink data is real and its accurate. Every operator should be able to trust the accuracy of their data and SiteLink users can. SOC 1 certification gained after the GFC helped prove our data accuracy. Our suppliers stood by us and our loyal customers and we weathered the storm of the GFC. “SiteLink to this day have proven time and time again their commitment to our local market and we made it clear that without this clear commitment that the software would not work for our local market right at the start”. Dogger commented. Since 2007, SiteLink Web Edition has delivered thousands of enhancements and these changes have continually offered the feature set that most local operators need; many just for our end of the world. Our market is small when you look at US comparisons with Australia and New Zealand and we represent the equivalent of about 2 or 3 US states of Self Storage sites. “When we started back in 2007 the fear of storing “data in the cloud’ was real and many sites did not want to take the risk”. Dogger said. We had to prove ourselves and we well and truly have. Those early days were a challenge and we really do thank those pioneers who helped us establish – they are still our customers! “The reality has been that over 11 years, SiteLink’s uptime has been 99.997%, confirming the commitment that was made when we started representing SiteLink. In that time, we have had no breaches of security, lost data or any other attack and every month the product has got better and better”. Dogger commented. The efforts that SiteLink go to protect data and provide security of information has been exceptional, underpinning their commitment to protecting storage sites data. The PCI-DSS Level one certification gained many years ago proves that SiteLink was and remains secure, adding payment processing in the US 3 years ago, these security protocols have remained and have been enhanced, leading the industry. SiteLink Web Edition retains data pertinent to the site locally in its local database on user’s PC’s. Even with internet interruption, sites can access vital information. This model has ensured industry leading access and speed combined with data centre reliability for its 15,000+ global sites. The facts remain that SiteLink’s data is the most secure in the industry, with 4 factor authentication, encryption on all data and class 1 data centre security. “We use cloud-based solutions every day and I have full confidence in the security of the data and I know I would rather have my data secure in a data centre than in an office where the computer can be accessed or even stolen” Dogger said. Whilst we have seen data breaches by some large companies, the circumstances of these breaches do not compare to Self Storage. In The past 11 years, we have seen power outages, computer failure, fire and flood and earthquakes disrupt our customers, and, in every case, we have helped sites, managers and owners get back to renting spaces as fast as possible with no data loss and this is critical when customers are calling, asking about their storage spaces. “We have been privileged to provide regular input into SiteLink and our own local development team liaise with the senior development team in the US to add local features and enhance the operation of SiteLink in our region” Dogger said. “We had a choice back in 2007 who we could represent and our faith in SiteLink has been repaid many times. We said at the time that we would not represent any company that could not honour its commitments and over that time, SiteLink has continued at the forefront of development, introducing eSign paperless leases, CRM, myHub and hundreds of other features and enhancements. 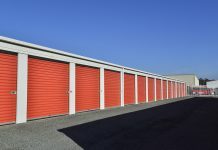 These changes have changed forever how Self Storage spaces are rented. We delivered a product that suited small and larger operators, including a Corporate Control Centre for multi-site operators, gate interfaces, multiple credit card integrations and much more for one monthly subscription cost that has had very little increase over those 11 years. We have seen the SiteLink marketplace build with fantastic global partners, all with enhancements to offer more value to SiteLink users. It would be naïve to think that a Self Storage software company could offer every feature – the list is endless of what is wanted, hence the SiteLink marketplace. SiteLink provides a backbone to other products like Storage Income Pros and RapidStor, both successful in Australia. “Without SiteLink we could not have developed RapidStor”, Centreforce GM Michael Dogger said. Through the API that SiteLink offers to developers, RapidStor has helped more than 10,000 storage spaces to be let online since its creation. Our guys have created custom solutions so that sites can have an edge in the market”. Every month more and more spaces are rented online and our local development team is enhancing RapidStor online move ins to help sites rent more space as consumer purchasing habits change. In March 2018, SiteLink was sold to Sparefoot in the US. Chuck Gordon the group CEO has heralded a new vision for SiteLink with more resources being added, accelerating development of the web browser version of SiteLink called myHub. The two companies remain separate and the future will see higher integration for those that use both platforms. There is no. data sharing between these two companies where both products are not used. The Sparefoot product is not available in our region and is not likely to be due to the size of our market. There are no plans to introduce Sparefoot services in Australia. “We are excited about the new ownership as it has injected further funds into an already successful company and the benefits will flow to ever user” Dogger said. Software creation is a capital-intensive process and the new funding provided by the new ownership confirms future development into the next generation of software. “The sale has no effect on our local representation or development and we will continue to market the suite of SiteLink products to our Australian, New Zealand and South East Asian market” Dogger said. We have more to come. We have been very proud to have created the “SiteLink Certified Professional” programme locally and we have had hundreds of staff enrol, learning the skills to become proficient in the use of the software at their own pace – a big help to owners. The programme has been adopted in the US and it’s been a big success. “I could not be prouder of our local team delivering SiteLink, support services and integrations, including real time investment portals and custom reporting information and I know we are contributing to Self Storage success for our users”. Dogger said. The future is exciting and with the backing of the world’s leading software we have big plans to continue our 10 plus years of innovation. We have a roadmap and our users can look forward to world leading innovation, further web integration and faster response. Helping sites to make more money in a market of increased competition is also on our radar. Simplifying the long-standing move in process along with more analytics will speed up customer service and we are committed to leading the way with our software. Self Storage is changing, and we are already well underway on the next generation of Self Storage productivity software. Some may think that Self Storage software is nothing more than an automated cash register. For some that could be true. Self Storage is more complicated than the corner shop and our users expect more. Used effectively, SiteLink provides real time insight into the performance of your site and ultimately your investment and this will be more important in the future. Using information extracted from Sitelink effectively can retune your business and optimise your income. We thank everyone who has used and continues to use SiteLink. Your continued support drives our entire local and US teams to deliver Self Storage excellence and we plan every day to bring more features to help your Self Storage business. Our customers deserve nothing less.